Prepare mind, body, and soul for restorative beauty sleep. This aromatherapeutic beauty balm promotes a state of blissful tranquility while an infusion of nine time-honored botanicals renew, repair, and illuminate a healthy, gorgeous complexion. 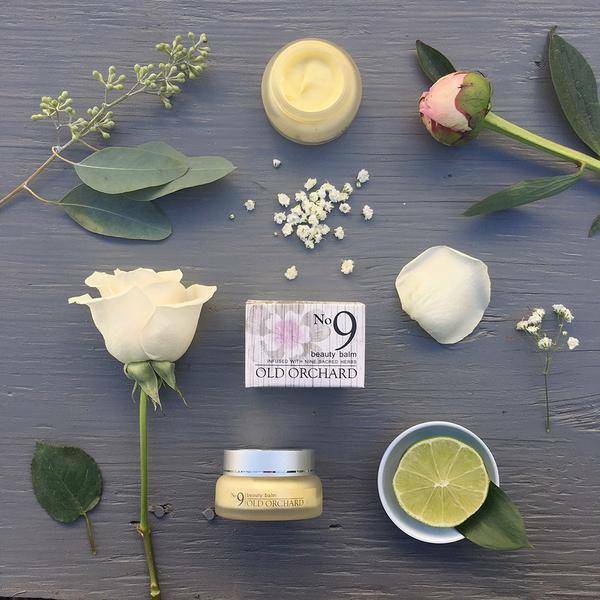 Inspired by the Nine Herb Charm, a 10th century poem and herbal remedy, No.9 Beauty Balm combines the concentrated healing power of nine organic and wildcrafted herbs with deeply nourishing oils and butters for a radiant complexion. Kokum butter and babassu oil restore moisture, soften, and improve the elasticity of dry, damaged, or inflamed skin. 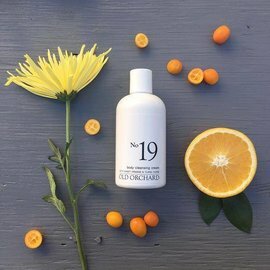 Camellia seed oil calms and balances sensitive skin, while oils of rose, neroli, bergamot, and vanilla ease stress and uplift the spirit. This handcrafted, creamy balm melts into a soothing facial oil on contact. Melt a pea-sized amount of balm between fingers or hands and pat on to cleansed, slightly damp face, neck, and decollete. Massage any excess into hands and cuticles. 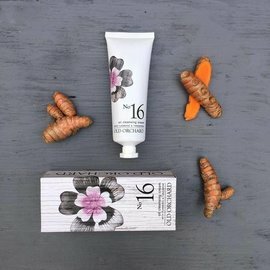 Ingredients: orbignya oleifera (babassu) seed oil* infused with calendula officinalis (calendula) flower*, matricaria chamomilla (chamomile) flower*, helichrysum arenarium (immortelle) flower*, hibiscus sabdariffa (hibiscus) flower*, lavandula angustifolia (lavender) flower*, urtica dioica (nettle) leaf*, plantago major (plantain) leaf*, rosmarinus officinalis (rosemary) leaf*, and curcuma aromatica (wild turmeric) root**, camellia oleifera (camellia) seed oil*, garcinia indica (kokum) seed butter, simmondsia chinensis (jojoba) seed oil*, rosa damascena (rose) absolute, citrus aurantium (neroli) essential oil*, citrus bergamia (bergamot) essential oil*, vanilla planifolia (vanilla) absolute.